We’ve seen a lot of photos purporting to depict Samsung’s hotly-anticipated Galaxy S III device, and while some of them have raised eyebrows throughout the tech community, most have been less than convincing. Now, courtesy of a Vietnamese site, the world may finally be taking its first glimpse at the sought-after device. 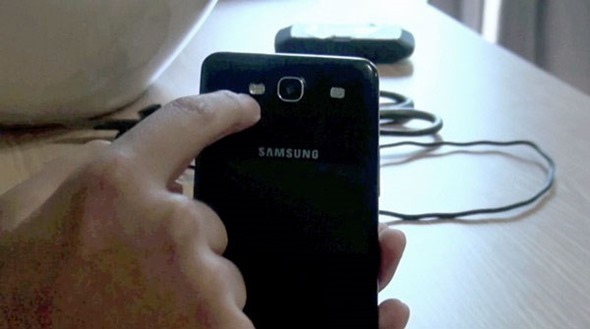 Far from the blurry, chopped up images we’ve become somewhat accustomed to, the video shows a fully-operative, unspecified device, which is claimed to be the Samsung Galaxy S III. As confirmed recently, the official unveiling will take place at the Samsung Mobile Unpacked event on May 3rd in London – host of this year’s Olympic Games. Vietnamese site Tinhte reckon they’ve already gotten hold of the new smartphone, and given their previous accurate track record for obtaining devices before they’re released to the public, we’re somewhat inclined to believe them. The site notes the device being waved in the video is indeed the GT-I9300 which, unless Samsung decides to do an Apple and deviate from the naming structure, we’ll assume will be called the Samsung Galaxy S III. Anyhow, you’re probably dying to know of the specs, and according to the leak, it boasts a gigantic 4.6-inch display at 720 x 1184 resolution. With the Korean company’s "phablet" Galaxy Note boasting a 5-inch display, it appears other devices in its smartphone range are creeping up as well. As predicted, it includes quad-core 1.4 GHz processor, which renders it a real powerhouse in the greater gadgetsphere. Some have argued that a quad-core processor in a smartphone is essentially overkill, and an unnecessary strain on the battery. If the Tinhte report is anything to go by, however, prospective users needn’t be too protective over the battery of the the device. 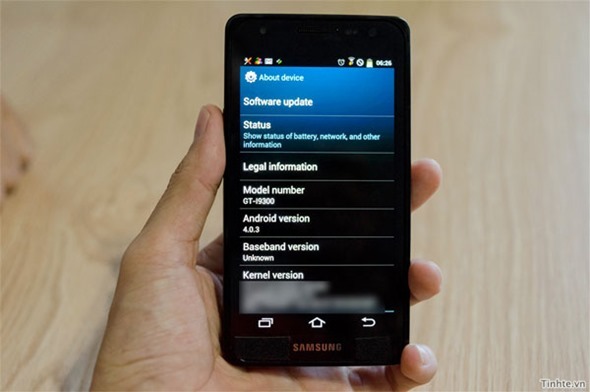 It’s said to house a 2,050mAh battery, which will include NFC capabilities like the Galaxy Nexus. It is said to include 1GB of RAM, an 8-megapixel camera (not the 12 megapixels rumored), as well as 16GB of on-board storage. The device is surrounded by a plastic rim, although it is noted that this has been put in place to stop leaks from showing the world exactly what it looks like before the big launch. Deviating from the cheap, plastic trend, we still expect the device to be encased in a ceramic finish, adding a touch of class to match its high-spec innards. We will be able to tell you more at the 2012 Samsung Mobile Unpacked. While we can never be too sure, this is as good we’ve got so far, and if these specs can be packed in the ceramic outer we’ve been hoping for, I think we’ll be in for a treat!